For over 20 years, Jim Curtis has battled a mysterious chronic illness. He grew accustomed to living in pain, denial, and despair. But when traditional medical therapies didn't help, he sought answers elsewhere. He traveled the world and met a group of extraordinary people he calls the Stimulati - and what he learned from them ultimately changed his life. In The Stimulati Experience, Jim outlines his own incredible journey as well as his step-by-step program to overcome pain, setback, and struggle to transform your life into one filled with better health, freedom, joy, strength, and purpose. Whether you suffer from a chronic illness, anxiety, or depression, you'll learn how to achieve better health and an abundance of happiness. 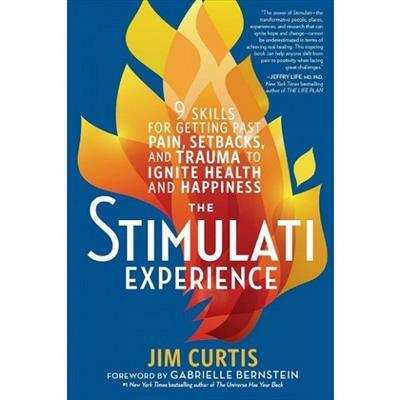 Featuring a motivational and inspiring foreword by New York Times best-selling author Gabrielle Bernstein, The Stimulati Experience distills Jim's unique nine-step program created from his own personal experience, the Stimulati themselves, and lessons he has learned from creating the world's leading digital health platforms. "The power of a Stimulati--the transformative people, places, experiences, and research that can ignite hope and change--cannot be underestimated in terms of achieving real healing. This inspiring book can help anyone shift from pain to positivity when facing great challenges." "I have witnessed Jim's transformation from hopeless to hopeful firsthand. His determination and relentless quest for health and happiness will be inspiring to so many people, at every stage of life." "As a Lyme-literate physician, I know there are many factors to beating illness that go beyond the medicine cabinet. The mind/body connection influences both illness and recovery, and our journey is to find that perfect prescription of physical, mental, emotional, and spiritual balance that is necessary to achieve the greatest level of healing. Jim Curtis' brave new book artfully explains this path, and gives readers the tools they need for identifying what's holding them back from getting better." ―Richard Horowitz, MD, bestselling author of How Can I Get Better? University of New Hampshire. He lives in New York, NY.